The upcoming final season of Game of Thrones is reportedly set to feature the longest consecutive battle scene ever produced. In a lengthy Entertainment Weekly [EW] feature, the cast and crew discuss the hit fantasy series coming to an end, with much discussion of the highly anticipated Great Battle of Winterfell. Miguel Sapochnik directs the episode after previously helming season 5's 'Hardhome' and season 6's 'Battle of the Bastards', two of the show's most beloved battle episodes. He says he studied Sir Peter Jackson's direction in the nearly 40-minute Helm's Deep siege in The Lord of the Rings: The Two Towers for inspiration. "It feels like the only way to really approach it properly is take every sequence and ask yourself: 'Why would I care to keep watching?'" Sapochnik told EW. "One thing I found is the less action - the less fighting - you can have in a sequence, the better." The episode took 11 weeks to film in conditions EW calls "unprecedentedly brutal"; up to 750 people working through the night "in icy rain and piercing wind, thick, ankle-deep mud; reeking horse manure and choking smoke". But the result should be worth it - Game of Thrones co-executive producer Bryan Cogman said the battle will "blow everybody away". "This final face-off between the army of the dead and the army of the living is completely unprecedented, relentless and a mixture of genres even within the battle," Cogman told EW. "There are sequences built within sequences built within sequences. [Game of Thrones showrunners David Benioff and Dan Weiss wrote] an amazing puzzle and Miguel came in, took it apart and put it together again." Game of Thrones fans have also been given an exciting clue about Cleganebowl - the anticipated possible showdown between brothers Sandor and Gregor Clegane, aka The Hound and The Mountain. The pair had a brief swordfight in the first season, but that was stopped before either won. After they faced off in a diplomatic, bloodletting-free scene in season 7, Rory McCann (The Hound) has hinted the long-awaited clash of titans indeed happens in 2019. 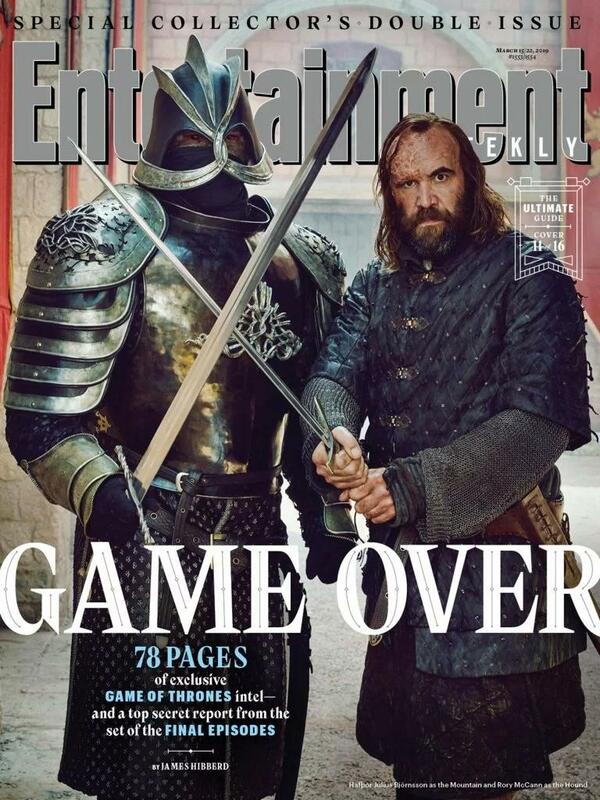 "There will be a chance of [The Hound] squaring up to his brother and facing those demons," McCann told EW. Game of Thrones season 8 premieres in New Zealand on April 15.